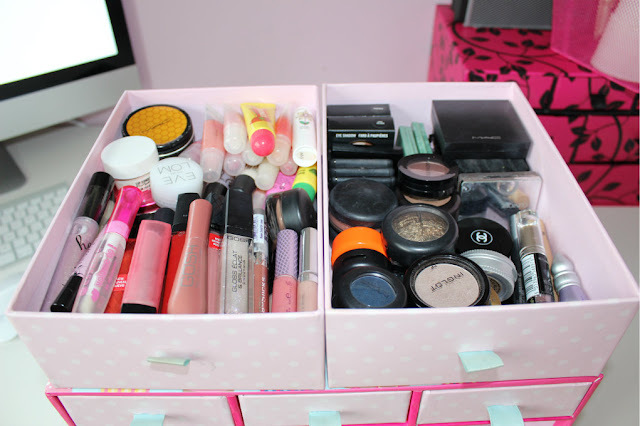 This is where I store all my make up and apply it every morning. Recently I have done a massive deep clean on my room and changed this setup but I am going to have to change it back to the original setup (above) as the new setup is not practical. On top of my storage boxes I keep essentials and some pallets which don't fit in my storage. 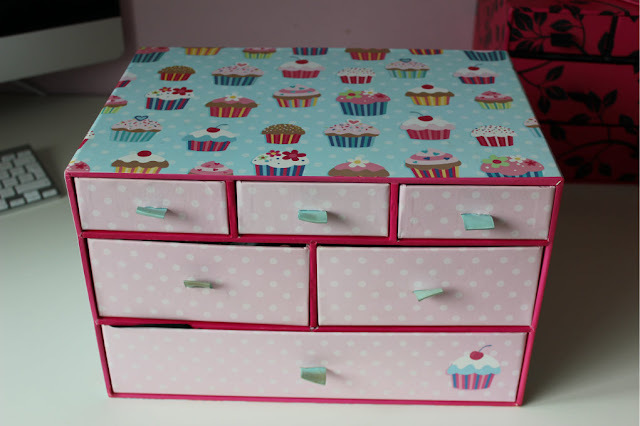 I have two of these drawers from WH Smith and I find them a good option for storage. 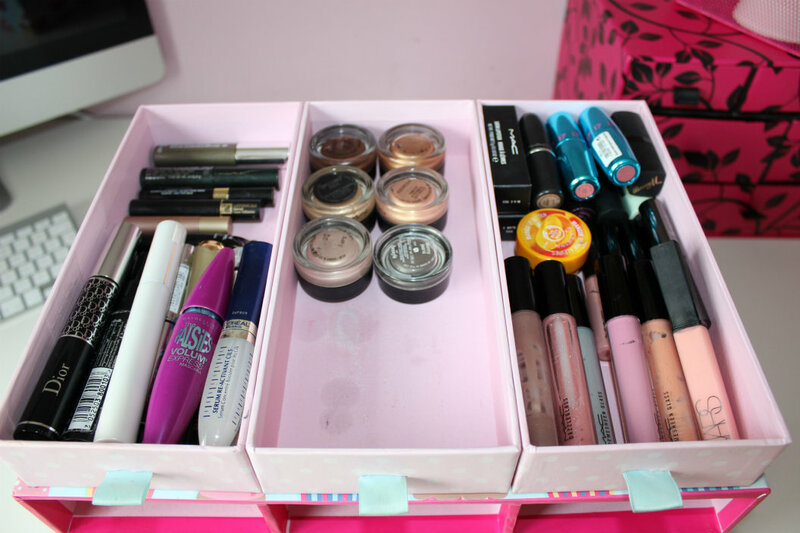 The only thing I would suggest is when storing makeup pick dark colours or boxes which you can wipe clean as you will see with my second box the paler colour has gotten grubby over time. I keep this little basket in one of the drawers in my desk. 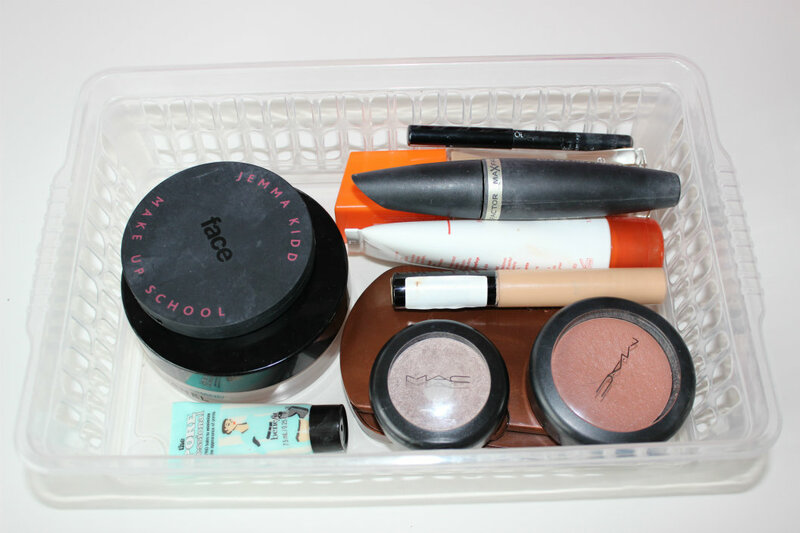 In this I store my day to day products which I am currently using. I switch these out regularly. If there is anything in my collection you would like to see in more detail or would like a review on just let me know. Looks really cute and nicely ordered! 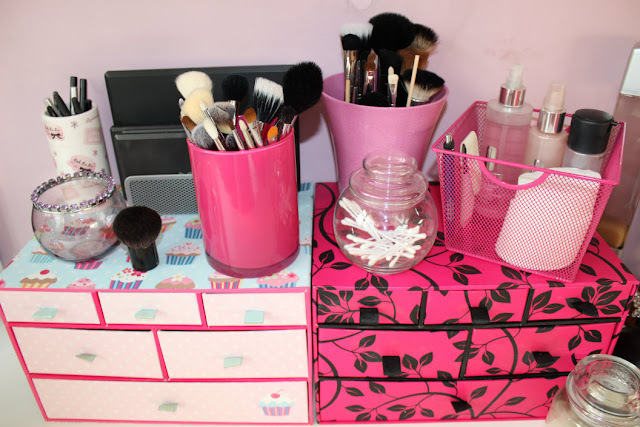 I love how organised it is! And the draws are so pretty! Gorgeous post. love how you have stored everything. 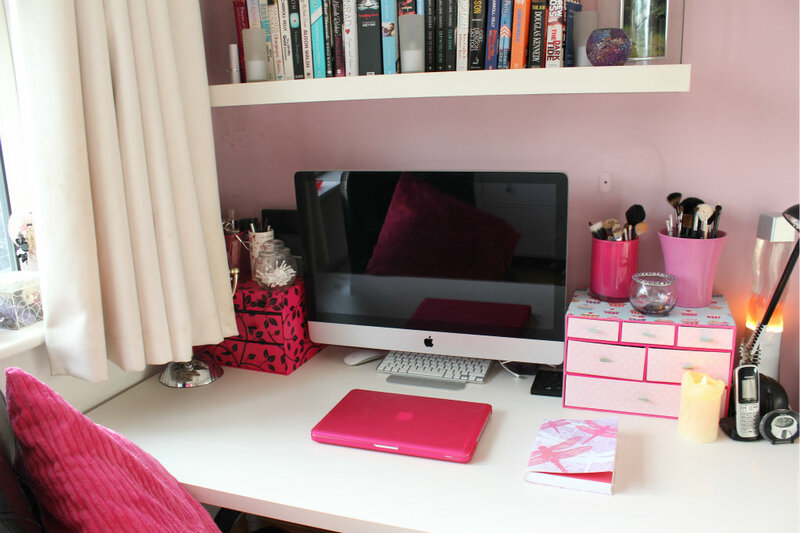 And im sooo in love with your imac! I want! Hey, I'm a new follower! Found you thru the BLT blog hop! 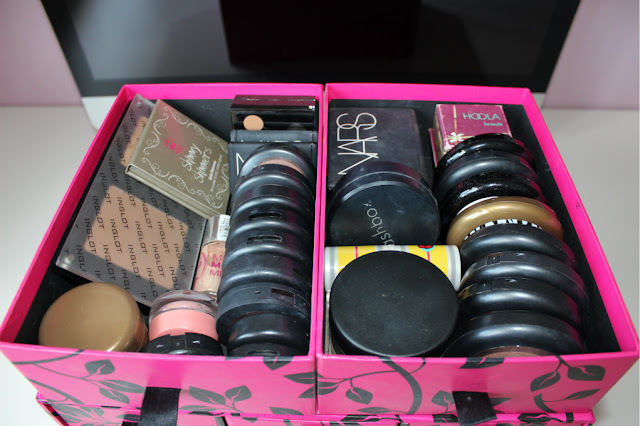 Very cute storage boxes and your makeups are arranged so neatly! I hope I can arrange mine like that. Lol. I love how pretty you made everything look! What colour is that mac eyeshadow in the last pic? Very pretty. I'd love some of those drawers from Smiths. They look like they wouldn't hold much so when you showed us them on the inside I was like "Wow"
Wow I LOVE you desk !!! 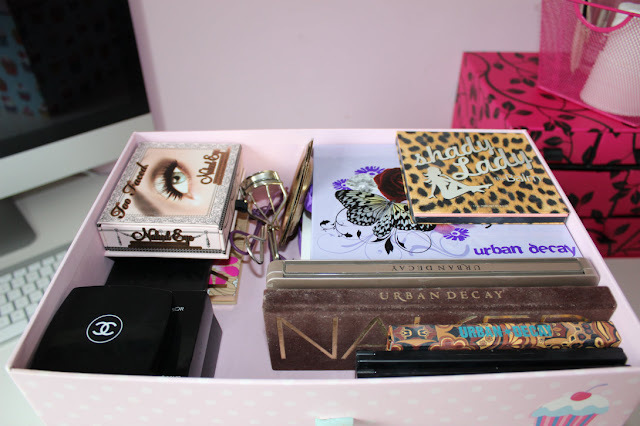 The boxes are so cute and so organised, but you have so much make-up!! Do you use it all? When I find a product I like I stick to it which makes make-up shopping very easy (and practically non-existent) for me. The moment I saw the storage, I really said to myself that "I would badly need one of these". Firstly you have such a beautiful name! And secondly.. WOW! 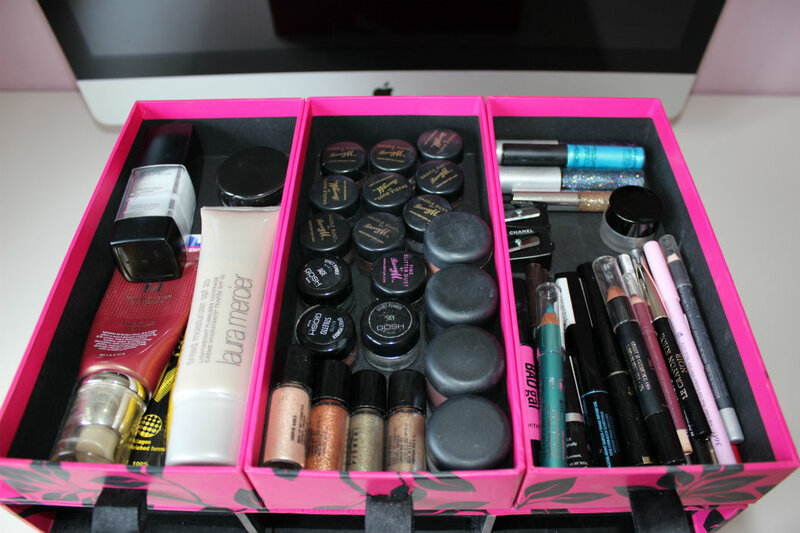 I would love to rifle through your make up collection haha it seems so vast and so intriguing! What foundation to you feel you wear the most? I use Bourjois and I swear by it. 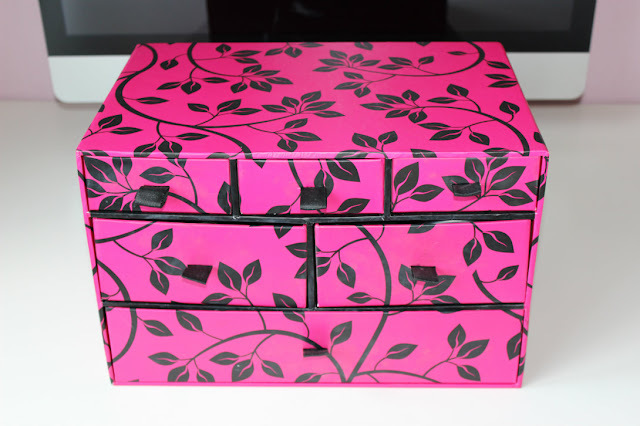 Love your storage boxes. They are really cute. 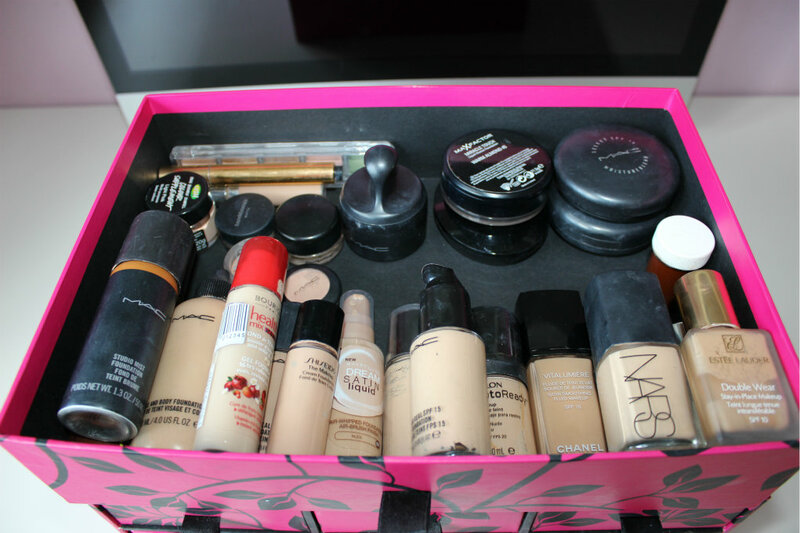 I am lusting over your Foundation collection. I am always on the hunt for the perfect one.